The Black Keys are on a massive tour that brings them to Chicago for two nights at United Center (9/27-9/28, tickets), but first you can catch them this Tuesday (9/9) at BMO Harris Bradley Center in Milwaukee, Wisconsin. Tickets for that show are still on sale, and we have two pairs to give away to that one! Want one of those pairs? 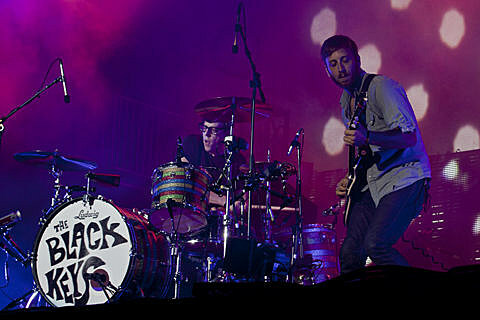 Tweet “Hey @BVChicago I want to see @theblackkeys in Milwaukee http://bit.ly/1nxolXq “. Two winners will be chosen randomly from everyone who tweets that. Good luck!